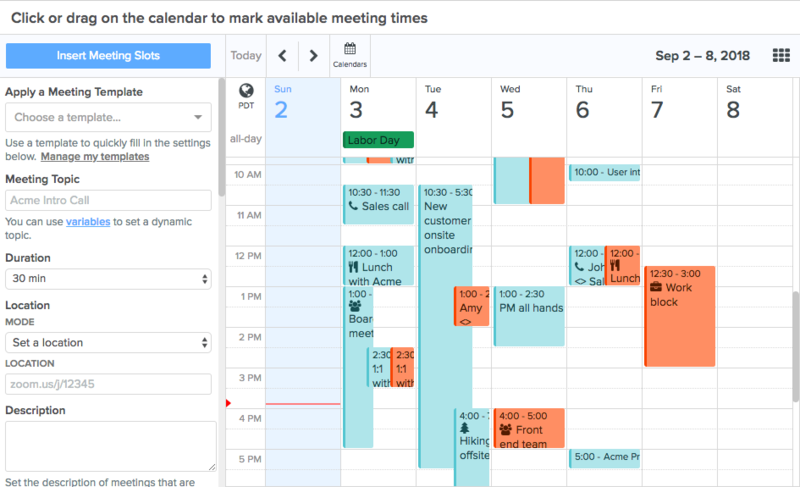 One of the most time-consuming parts of meeting scheduling is manually entering in event details like the meeting topic and the conference call link, especially when you're scheduling the same type of meeting (like a product demo or interview) over and over again. Meetingbird's Meeting Templates solve this problem. They allow you to set templates for your most frequent meeting types and quickly populate meeting details whenever you need to schedule. 3. Provide a name for your template, and then fill in settings for meeting topic, location, and more. You can leave any of the fields blank if they are not necessary for your meeting type. 4. 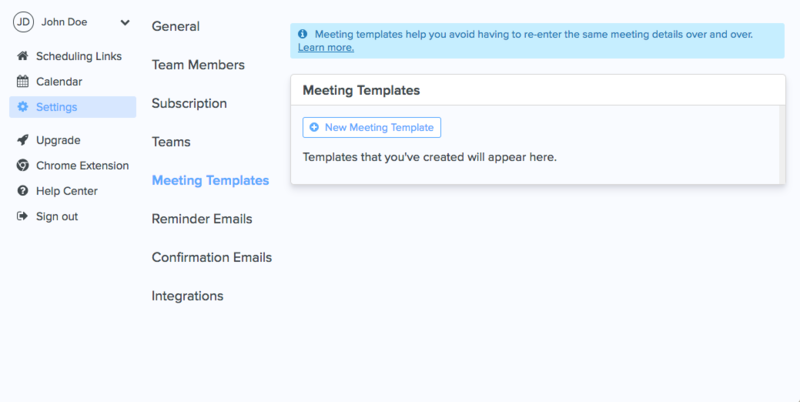 Click "Create Template" to create your meeting template. Now that you've created your first meeting template, you can quickly fill in event details when you add an event to your calendar or use insert meeting times into an email reply. Just use the "Meeting Templates" dropdown to choose the template you'd like to add. You can also click "Manage my templates" from the popup to create and edit your meeting templates. Have some questions that weren't answered above? Feel free to reach out to our awesome support team.